Family Fun & Education: Teach your children well. Free MP3, music, moving pictures, videos, photos, lyrics, thoughts and issues. All my life, I have been trying to grow wiser without growing older. Though I have not been totally successful as (as my balding head will show), my spirit is still in its youth. That is sort-a what this website is about -- learning about things... all sorts of things... yet, remembering the love and trust we all need from Mother and Father. So, when you are traveling through this labyrinth of a website, please help our younger viewers understand what it is all about. To our older viewers: our studies show that the older you are, the harder it is to "get" this website. Maybe you can be learning from the youth at the same time? Notes: most of our study paths are not linear and may take time to grasp. All of our study paths are supposed to be interactive: you give us feedback, and we change the web. Since we never stop learning, this website never stops growing. And, please remember... we are trying to be fun :) So, we do tend to use humor. Besides, if you don't want to have fun, you should go home... hehehe... just kidding. If you need ideas on how to incorporate this website into a lesson plan for a specific age group, please contact us. Please click here for a more basic menu. Note: this is a non-denominational website. A wide variety of Christians, Jews, Buddhists, Hindus, and others, work on the website. We are always interested in hearing more. If your religion can shed some light on our website, please help us. There is one thing that all the religions seem to have in common, the golden rule -- do unto others as you would have them do unto you. This entire website is a social study, as well as, an anthropological experiment. Think about it... talk about it... let us know your thoughts. Homework assignment: proofread all or part of this website. 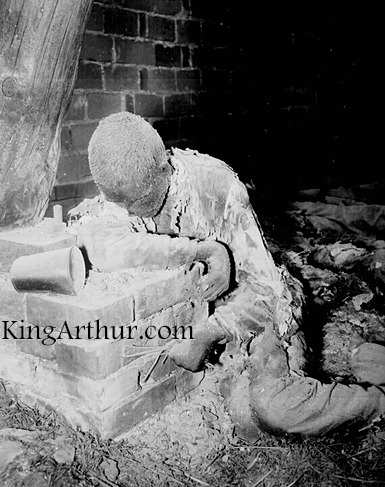 Write a factual article or story and email help@KingArthur.com. If it is good, we will try to make it part of this website. Perform investigative reporting for The Internet Gazette. We are trying to set up KingArthur.com as an interactive learning experience for families... a game sort-a thingie for people of all ages. When you take your students there, they should be supervised (as some of the content is graphic... World War II victims, etc.) We encourage dialogue between adults and youth about such issues as starvation, pollution, oppression, bigotry, the Holocaust, police brutality, etc. Some pictures and topics may be disturbing. Therefore, we suggest that the adults preview all material. If you are interested in getting involved, please let us know.